O.K., for some background I have been in & out of the hospital for the past couple of years with abdominal pain. 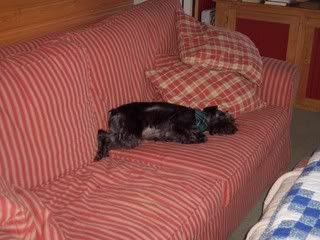 I was in for a few days over Labor Day & was diagnosed with pancreatitis. Great, problem solved. Anyone see the "not so fast" coming here? I was back in a week later. After a few more days & 2 zillion more tests I saw the physicians assistant (P.A.) of one of my regular Dr.'s (real Docs don't come in on Sundays.) I can honestly say this P.A. didn't like me. She, along with some others, thought I was making it up/crazy/just there for the drugs, etc. With a look she sighed and told me that she was gonna send me for what is apparently the mother of all gall bladder tests. The way she said it made it obvious that she was using this as more of a punishment than a diagnostic tool. Now over the past 2 years I have had cameras snaked into my body thru every possible orifice at least twice. I have had my blood taken every hour. I have nasogastric tubes on 4 occasions. (For those unfamiliar this is a tube they shove into your nostrils, down your throat, & into your stomach. While your awake. They tell you to relax while this is happening to you.) My favorite time that this happened is when the E.R. person tried twice & then turned to his partner & said "well I guess you're going to have to get someone who has done this before to try it." The nasogastric tube is attached to a pump that pumps the bile out of your stomach & into a nifty see-thru receptacle. * Note - when the pump fails, you wake up choking on & laying in a lot of bile. Nurses do not have training on how to fix the pumps at 3 a.m. I have had enema's, prune juice mixed with melted butter (a wonderful Indian nurse's recipe, nurse was wonderful, recipe made me wish for the bile tube.) Let me just say you would be amazed at the places they can put ultrasound wands. I do not need a costume for Halloween. I'm pretty sure I glow in the dark from all of the x-rays, dyes run thru my system, CAT scans & MRI's. Back to Evil P.A. & her test. This test required me to have no pain medicine or food for 6 hours ahead of time. When I arrived for the test I was moved onto a table with another "table" above me. The top one went from my nose down to my knees. The top part laid on me, not above me, on me, for one & a half hours. Do I even need to mention that you can't move during this time? Obviously if you move at all you have to go back to start. Claustrophobia my old friend. After the allotted time the girl running the test (who was thrilled to be called away from home on a Sunday at 4:00 in the afternoon) came into my room & said we were set. Whoo-Hoo, I could get both pain & bladder relief. Not so much. The top part didn't move & no one came to help me up. Now was the time that the radioactive goop gets to run thru my system. As she injected into my I.V., she told me that this is going to make my body (already starving) think that it is eating. Man what a relief, having my tummy hurt from hunger is not something I'm used to. Test Girl says, "This will make you want to throw up. Also your stomach & intestines will try processing food that isn't there." I'm here to tell you that stomach & intestines do not enjoyed being toyed with in this manner. The second half of the test required that I lay perfectly still for the same hour & a half with my organs turning against me. I now knew Evil P.A. hated me & would continue making up tests requiring no pain meds until I cried wolf & went home. Low & behold, at the end of my test in walks my Dr.! Test Girl had called him. At home. Sunday afternoon. I thought I was really in for some painful tests now. Apparently Test Girl forgot I was still strapped into the machine. She informed the Dr., standing next to me, that my "gall bladder was shot" and that "it needed to be yanked tonight." Methinks Test Girl was still pissed about missing her football party. Dr. hears me mumbling & confirms that I will have to have my gall bladder removed & it will happen that night. A normal gall bladder works at 30% of its capacity. My lazy assed gall bladder was working at 1% capacity. I was thrilled! They believed me...I really am sick...this endless hospitalization will be over. Life is good. Being me the other side of my brain kicked in. 2 years. I had been assured for 2 years that my gall bladder was fine. It showed no signs of gall stones! The blood tests said it was fine! It took Evil P.A. who hates me, to finally order the test that would give a definitive answer. I would say long story short, but I think we're too late for that. I had the satisfaction of smiling at Evil P.A. & telling her I was sick. Then she smiled & reminded me that I was having abdominal surgery (the fourth in my life.) Another score for Evil P.A. The surgery went off o.k. It was laparoscopic so that meant instead of being cut from stem to stern, I would have 4 small holes. I was released on Wednesday & I was recovering well until Friday. I made the mistake of taking off one of the little pieces of white tape covering one of my incisions. This was a mistake. They didn't sew me closed. Nope, not a stitch to be had, just little pieces of white tape over my 4 new holes. I had been laughing for goodness sake, guts could have spewed out! I'm pretty sure my surgeon when home to watch the game & let Evil P.A. & Test Girl be in charge of closing me up. This is a must watch video about a father & a son and also God's relationship with us. Outside My Window... 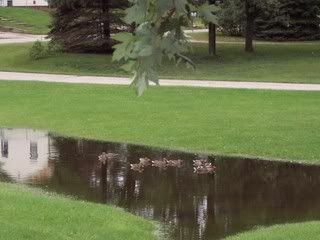 I see about 10 ducks swimming in a pond created by all of the rain this weekend. I am thinking... About both of my boys being home sick with sore throats & aches. I am thankful for... My cozy couch. From the kitchen... Warm soup to make the boys feel better. I am wearing... Purple flowered jammie pants & a Dorothy & Toto t-shirt. I am creating... A cozy new office/school area. I am going... To the library to pick up my new books on hold. It's like Christmas! I am hoping... For a sense or order. I am hearing... Jack coughing. John is still sleeping. Around the house... Putting away laundry & planning a menu for the week. One of my favorite things... My boys snuggly & warm from bed, even though they are teenagers. A Few Plans For The Rest Of The Week... Getting caught up on school & getting out a cross-stitch that I started last year. Here is picture thought I am sharing... The ducks happy swimming. 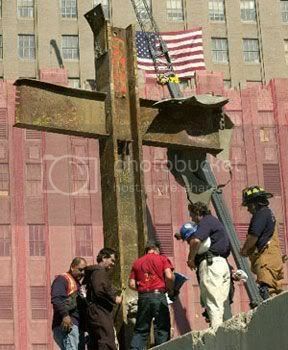 World Trade Center iron cross. Outside My Window... My big backyard tree getting ready to change it's leaves. I am thinking... About getting caught up. I was in the hospital last week. I am thankful for... Being home & being healthy. From the kitchen... Homemade chili and blondie bars with M & M's & Reese's Pieces! I am wearing... Light blue jammie pants & white sweatshirt, snuggly. I am going... To take Oskar to the groomer. I am reading... Peninsula of Lies, by Edward Ball. I am hoping... For a new start. I am hearing... The 70's song, "I Wanna Put On My Boogie Shoes" by K.C. & The Sunshine Band. It's on the radio. Around the house... Catching up on laundry, uncluttering everything. One of my favorite things... Fall in Michigan. A Few Plans For The Rest Of The Week... Getting caught up on school & keeping my boys, JD & Jack on track with school. 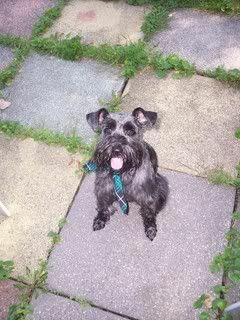 Here is picture thought I am sharing... Oskar after his grooming. Howdy folks! 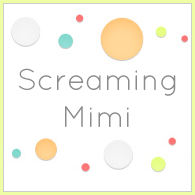 If there is actually anyone out there who reads my little blog, you may have noticed that I have been gone for a while. I was in the hospital for 8 days, I came home on Thursday. I'm doing well, just working to get my energy back. I missed the boys first day of school for the first time ever. Now JD is a junior & Jack in his 2nd year of junior high (I guess you're supposed to say "middle school" now, but I've never really been a conformer.) Anywhoo, not any earth shattering first days, but I still hated not being here. The Dr's would have kept me in the hospital longer & in some ways I enjoyed it. My room had a nice view of trees, a housekeeper said I had the best view in the hospital. I had a flat screen TV that also had on demand movies. I had a beautiful blue wall to look at & I really mean that. It was the perfect soothing blue. Oh yeah & folks pumped me full of pain meds every few hours, brought me crushed ice whenever I wanted & every night I got to have either cherry or lemon ice thingies that were out of this world. I'm pretty sure I would have thought that even without the narcotics. I just missed my boys too much. Way too much. Chris, John David, Jack & yes even Oskar. I needed them more than I needed a few more days of medicine to keep the pain at bay. They are the best medicine ever. Thanks to you Lord for getting me through this tough time & for taking care of my family while I was gone.